I’ve been trying to figure out what to bring to LEGOPalooza this weekend. Last night I sat down and did a rough plan of the area I am responsible for. 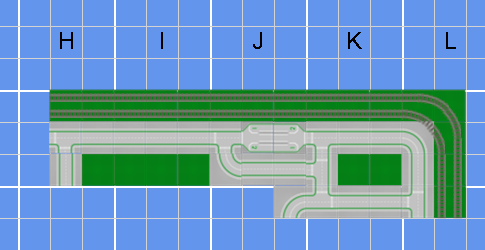 I have a long thin area in one corner of the layout. Thin areas can be tough to plan because you don’t have a lot of flexibility. Right now I am planning to bring my Church (always popular) and my Fire Station (which hasn’t been displayed in a while). I am unsure whether to go with my downtown buildings, some houses, or possibly my Train Station, Saw Mill, and other “rail front” stuff. Decisions, decisions. This entry was posted in LEGOPalooza, MOC, NCLTC, NCLUG and tagged Chapel Hill, display, LEGOPalooza, Morehead Planetarium, NCLTC. Bookmark the permalink.